Mercantilism is an economic system that dominated the major European trading nations during the sixteenth, seventeenth, and eighteenth centuries. This "mercantile system" was based on the premise that national wealth and power were best served by increasing exports and collecting precious metals in return. It superseded the medieval feudal organization in Western Europe, especially in the Netherlands, France, and England. Domestically, this led to some of the first instances of significant government intervention and control over the economy, and it was during this period that much of the modern capitalist system was established. Internationally, mercantilism encouraged the many European wars of the period and fueled European imperialism. Mercantilism was finally challenged by advocates of "laissez-faire" who argued that international and domestic trade were both important, and that it was not the case that one country must grow wealthy at the expense of another. As this and other economic ideas arose throughout the nineteenth century, the mercantilist view was superseded. Nonetheless, many of the ideas and policies have not been forgotten, emerging again as circumstances changed. For example, the Great Depression of the early twentieth century created doubts about the efficacy and stability of free market economies, providing a new role for governments in the control of economic affairs. Mercantilism was a political movement and an economic theory, dominant in Europe between 1600 and 1800. The term "mercantilism" was not in fact coined until 1763, by Victor de Riqueti, marquis de Mirabeau, and was popularized by Adam Smith in 1776. In fact, Adam Smith was the first person to organize formally most of the contributions of mercantilists in his book The Wealth of Nations (Niehaus 1990: 6). To inspect the country's soil with the greatest care, and not to leave the agricultural possibilities of a single corner or clod of earth unconsidered… All commodities found in a country, which cannot be used in their natural state, should be worked up within the country… Attention should be given to the population, that it may be as large as the country can support… gold and silver once in the country are under no circumstances to be taken out for any purpose… The inhabitants should make every effort to get along with their domestic products… [Foreign commodities] should be obtained not for gold or silver, but in exchange for other domestic wares… and should be imported in unfinished form, and worked up within the country… Opportunities should be sought night and day for selling the country's superfluous goods to these foreigners in manufactured form… No importation should be allowed under any circumstances of which there is a sufficient supply of suitable quality at home (Ekelund and Hébert 1996). The "mercantile system" developed logically from the changes inherent in the decline of feudalism, the rise of strong nation-states, and the development of a world market economy. 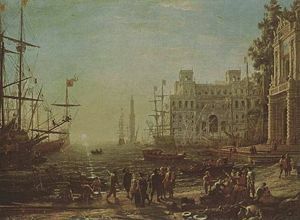 Mercantilists advocated the use of the state's military power to ensure local markets and supply sources were protected. The economic health or wealth of a nation can be measured by the amount of precious metal, gold, or silver, which it possessed. A favorable balance of trade is essential. Each nation should strive for economic self-sufficiency, increasing domestic production, and founding new home industries. Agriculture should be encouraged, reducing the need to import food. Tariffs should be high on imported manufactured goods and low on imported raw material. A merchant fleet is of vital importance, avoiding the need for foreign assistance in transporting goods and raw materials. Colonies should provide markets for manufactured goods and sources of raw material. A large population is important to provide a domestic labor force and to people colonies. The crown or state should be heavily involved in regulating the economy (Rempel 1998). Early mercantilist writers embraced bullionism, the belief that that quantities of gold and silver were the measure of a nation's wealth. Later mercantilists developed a somewhat more sophisticated view. Thriving agriculture should be carefully encouraged as it meant less of need to import foods and, above all, the prosperous farmers were providing a solid base for taxation (Rempel 1998). Sea power was necessary to control foreign markets not only to carry the nations own trading goods but also adding the power and prestige to the nation (Rempel 1998). Imposing of internal taxes of all kinds (Rempel 1998). Obviously, state action, an essential feature of the mercantile system, was used to accomplish these purposes. Thus, under a mercantilist policy a nation sought to sell more than it bought so as to accumulate bullion. Besides bullion, raw materials for domestic manufacturers were also sought, and duties or tariffs were levied on the importation of such goods in order to provide revenue for the government. The state exercised much control over economic life, chiefly through corporations and trading companies. Production was carefully regulated with the object of securing goods of high quality and low cost, thus enabling the nation to hold its place in foreign markets. Treaties were made to obtain exclusive trading privileges, and the commerce of colonies was exploited for the benefit of the mother country. The bulk of what is commonly called "mercantilist literature" appeared in the 1620s in Great Britain. Smith saw English merchant Thomas Mun (1571-1641) as a major creator of the mercantile system, especially in his England's Treasure by Forraign Trade, which Smith considered the archetype of manifesto of the movement (Magnusson 2003: 47). Perhaps the last major mercantilist work was James Steuart’s Inquiry into the Principles of Political Economy published in 1767. However, many British writers, including Mun and Misselden, were merchants, while many of the writers from other countries were public officials. Beyond mercantilism as a way of understanding the wealth and power of nations, Mun and Misselden are noted for their viewpoints on a wide range of economic matters (Magnusson 2003: 50). Mun presented early mercantile policy in his manuscript England's Treasure by Forraign Trade, written in the 1630s and published posthumously by his son John in 1664. According to Mun, trade was the only way to increase England’s treasure (national wealth) and in pursuit of this end he suggested several courses of action: frugal consumption in order to increase the amount of goods available for export, increased utilization of land and other domestic natural resources to reduce import requirements, lowering of export duties on goods produced domestically from foreign materials, and the export of goods with inelastic demand because more money could be made from higher prices (Mun 1664). Mercantilist policies in England were effective in creating a skilled industrial population and a large shipping industry. Through a series of Navigation Acts England finally destroyed the commerce of Holland, its chief rival. 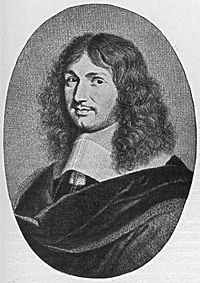 In France, Jean Baptiste Colbert, chief minister of Louis XIV from 1661 to 1683, was a great exponent of economic regulation. As a practical politician intent on the welfare of the middle class to which he belonged, mercantilism was the most convenient method of attaining his end. He prohibited the export of money, levied high tariffs on foreign manufactures, and gave liberal bounties to encourage French shipping. He purchased Martinique and Guadeloupe in the West Indies, encouraged settlement in Santo Domingo, Canada, and Louisiana, and established trading "factories" (armed commercial posts) in India and Africa. Colbert also tried to make certain that French manufacturers purchased raw materials only from France or French colonial sources, and provided France with a merchant marine of nearly three hundred vessels. He sought to promote the rapid growth of population by discouraging young people from taking holy orders, and instituted tax exemptions for families of ten or more children. One can notice the striking similarity of such comprehensive control to latter-day fascism. Both the mercantilist and the fascist would chain the economic system to national power. Both make a fetish of self-sufficiency (Rempel 1998). As the classical economists were later to point out, however, even a successful mercantilist policy was not likely to be beneficial, because it produced an oversupply of money and, with it, serious inflation. The mercantilist idea that all trade was a zero sum game, in which each side was trying to best the other in a ruthless competition, was integrated into the works of Thomas Hobbes. Note that non-zero sum games such as prisoner's dilemma can also be consistent with a mercantilist view. In prisoner's dilemma, players are rewarded for defecting against their opponents—even though everyone would be better off if everyone could cooperate. More modern views of economic co-operation, amidst ruthless competition, can be seen in game theory the folk theorems. European economists between 1500 and 1750 are, today, generally considered mercantilists. However, these economists did not see themselves as contributing to a single economic ideology. Rather, its adherents embraced, in various degrees, parts of a set of commonly held theoretical beliefs or tendencies that were best suited to the needs of a particular time and state. Mercantilism developed at a time when the European economy was in transition. Isolated feudal estates were being replaced by centralized nation-states as the focus of power. This led to frequent military conflicts between nation-states whose governments supported strong military forces. These forces were no longer temporary armies raised to address a specific threat, but were full-time professional forces. During this period technological changes in shipping and the growth of urban centers led to a rapid increase in international trade (Landreth and Colander 2002: 43). The shift from payments in kind, characteristic of the feudal period, to a money economy was one key development. By the late fifteenth century, as regional, national, and international trade continued to blossom, European currencies expanded as well; circulation was more common, widespread, and vital. The early mercantilists recognized the seminal fact of this period. Money was wealth sui generis; it gave its holder the power to obtain other commodities and services. Precious metals, especially gold, were in universal demand as the surest means to obtain other goods and services. At the same time, the rise of more powerful European states with burgeoning bureaucracies, frequent dynastic wars that required larger and more expensive armies, and more lavish court expenditures exacerbated this fundamental need for money in the form of precious metals. Foreign trade, not domestic trade, was viewed as the preferred method for obtaining bullion, while manufacturing, which provided the goods for such trade, was, in the context of foreign trade, favored over agriculture. However, as mentioned above, agriculture was all-important because it minimized costly imports of foodstuff and, in addition, wealthy farmers provided a strong base for taxation. Finally, the discovery of the New World by Columbus in 1492, and the discovery of the sea route to India by Vasco da Gama in 1497–1499, provided fertile ground for obtaining such wealth, while creating an ever greater need for wealth to conquer and protect these colonies and their imperial trade. All of these factors ensured that the rising late medieval and early modern states embraced mercantilism as an economic theory that allowed them to adapt to and seek to exploit these shifting structures. The importance of the discovery of America (and colonies generally) cannot be stressed enough. New markets and new mines propelled foreign trade to previously inconceivable heights. The latter led to "the great upward movement in prices … and an increase in … the volume of merchant activity itself" (Galbraith 1988: 33–34). Mercantilism focused on how this trade could best aid the states. Another important change was the introduction of double-entry bookkeeping and modern accounting. This accounting made extremely clear the inflow and outflow of trade, contributing to the close scrutiny given to the balance of trade (Wilson 1966: 10). Prior to mercantilism, the most important economic work done in Europe was by the medieval scholastic theorists. The goal of these thinkers was to find an economic system that was compatible with Christian doctrines of piety and justice. They focused mainly on microeconomics and local exchanges between individuals. Mercantilism was closely aligned with other theories and ideas that were replacing the medieval worldview. For example, this period saw the adoption of Niccolò Machiavelli's realpolitik and the primacy of the raison d'état in international relations. Mercantilist domestic policy was more fragmented than its trade policy. Governments provided capital to new industries, exempted new industries from the rules imposed by guilds, granted titles and pensions to successful producers, and established monopolies over local and colonial markets (LaHaye 2008). However, while Adam Smith portrayed mercantilism as supportive of strict controls over the economy, many mercantilists disagreed. The period was one of letters patent (a type of legal instrument in the form of an open letter issued by a monarch or government, granting an office, right, monopoly, title, or status to a person or to some entity such as a corporation) and government-imposed monopolies; some mercantilists supported these, but others acknowledged the corruption and inefficiency of such systems. Many mercantilists also realized that the inevitable result of quotas and price ceilings yielded black markets. One notion mercantilists widely agreed upon was the need for economic oppression of the working population; laborers and farmers were to live at the "margins of subsistence." The goal was to maximize production, with no concern for consumption. Extra money, free time, or education for the "lower classes" was seen to inevitably lead to vice and laziness, and would result in harm to the economy (Ekelund and Hébert 1997: 46). Mercantilist ideas did not decline until the coming of the Industrial Revolution and of laissez-faire. Henry VIII, Elizabeth I, and Oliver Cromwell conformed their policies to mercantilism. Belief in mercantilism, however, began to fade in the late eighteenth century, as the arguments of Adam Smith and the other classical economists won favor in the British Empire (among such advocates as Richard Cobden) and to a lesser degree in the rest of Europe (with the notable exception of Germany where the Historical school of economics was favored throughout the nineteenth and early twentieth century). Adam Smith and David Hume are considered to be the founding fathers of anti-mercantilist thought. However, a number of scholars found important flaws with mercantilism long before Adam Smith developed an ideology that could fully replace it. Critics like Dudley North, John Locke, and David Hume undermined much of mercantilism, and it steadily lost favor during the eighteenth century. Mercantilists failed to understand the notions of absolute advantage and comparative advantage—although this idea was only fully fleshed out in 1817 by David Ricardo—and the benefits of trade. For instance, Portugal was a far more efficient producer of wine than England, while in England it was relatively cheaper to produce cloth. Thus if Portugal specialized in wine and England in cloth, both states would end up better off if they traded. This is an example of absolute advantage. In modern economic theory, trade is not a zero-sum game of cutthroat competition, as both sides can benefit, it is an iterated prisoner's dilemma. By imposing mercantilist import restrictions and tariffs instead, both nations ended up poorer. David Hume famously noted the impossibility of the mercantilists' goal of a constant positive balance of trade. As bullion flowed into one country, the supply would increase and the value of bullion in that state would steadily decline relative to other goods. Conversely, in the state exporting bullion, its value would slowly rise. Eventually it would no longer be cost-effective to export goods from the high-price country to the low-price country, and the balance of trade would reverse itself. Mercantilists fundamentally misunderstood this, long arguing that an increase in the money supply simply meant that everyone gets richer (Ekelund and Hébert 1997: 43). The importance placed on bullion was also a central target, even if many mercantilists had themselves begun to de-emphasize the importance of gold and silver. Adam Smith noted that bullion was just the same as any other commodity, and there was no reason to give it special treatment. The first school to completely reject mercantilism was the physiocrats, who developed their theories in France. Their theories also had several important problems, and the replacement of mercantilism did not come until Adam Smith’s The Wealth of Nations in 1776. This book outlines the basics of what is today known as classical economics. Smith spends a considerable portion of the book rebutting the arguments of the mercantilists, although often these are simplified or exaggerated versions of mercantilist thought (Niehans 1990: 19). Valid points Smith made include the fact that trade can benefit both parties; that specialization can improve efficiency and growth through economies of scale; and that the close relationship between government and industry benefits them but not necessarily the general population (LaHaye 2008). Mercantilism, which reached its height in the Europe of the seventeenth and eighteenth centuries, was a system of statism which employed economic fallacy to build up a structure of imperial state power, as well as special subsidy and monopolistic privilege to individuals or groups favored by the state. Thus, mercantilism held exports should be encouraged by the government and imports discouraged (Rothbard 1997: 43). Scholars are divided on why mercantilism was the dominant economic ideology for two and a half centuries (Ekelund and Hébert 1997: 61). One group, represented by Jacob Viner, argued that mercantilism was simply a straightforward, common-sense system whose logical fallacies could not be discovered by the people of the time, as they simply lacked the required analytical tools. The second school, supported by scholars such as Robert Ekelund, have contended that mercantilism was not a mistake, but rather the best possible system for those who developed it. This school argued that mercantilist policies were developed and enforced by rent-seeking merchants and governments. Merchants benefited greatly from the enforced monopolies, bans on foreign competition, and poverty of the workers. Governments benefited from the high tariffs and payments from the merchants. Whereas later economic ideas were often developed by academics and philosophers, almost all mercantilist writers were merchants or government officials (Niehans 1990: 19). Scholars are also divided over the cause of mercantilism's end. Those who believe the theory was simply an error hold that its replacement was inevitable as soon as Smith's more accurate ideas were unveiled. Those who feel that mercantilism was rent seeking, hold that it ended only when major power shifts occurred. In Britain, mercantilism faded as the Parliament gained the monarch's power to grant monopolies. While the wealthy capitalists who controlled the House of Commons benefited from these monopolies, Parliament found it difficult to implement them because of the high cost of group decision making (Ekelund and Tollison 1982). Mercantilist regulations were steadily removed over the course of the eighteenth century in Britain, and during the nineteenth century the British government fully embraced free trade and Smith's laissez-faire economics. By 1860, England had removed the last vestiges of the mercantile era. Industrial regulations, monopolies, and tariffs were abolished, and emigration and machinery exports were freed (LaHaye 2008). In continental Europe, the process was somewhat different. In France, economic control remained in the hands of the royal family and mercantilism continued until the French Revolution. In Germany mercantilism remained an important ideology in the nineteenth and early twentieth centuries, when the historical school of economics was paramount (Wilson 1966: 6). In the mid-twentieth century, most economists on both sides of the Atlantic came to accept that in some areas mercantilism was correct. The Great Depression had created doubts about the efficacy and stability of free-market economies, and an emerging body of economic thought ranging from Keynesianism to Marxist centrally planned systems created a new role for governments in the control of economic affairs. Also, the wartime partnership between government and industry in the United States created a relationship—the military-industrial complex—that also encouraged activist government policies. Most prominently, the economist John Maynard Keynes explicitly supported some of the tenets of mercantilism. 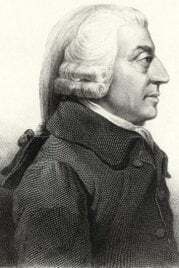 Adam Smith had rejected a focus on the money supply, arguing that goods, population, and institutions were the real causes of prosperity. Keynes argued that the money supply, balance of trade, and interest rates were of great importance to an economy. These views later became the basis of monetarism, whose proponents actually rejected most of the details of Keynesian monetary theory; monetarism developing as one of the most important modern schools of economics. Keynes and other economists of the period also realized that the balance of payments is an important concern, and that a favorable balance of trade is desirable. Since the 1930s, all nations have closely monitored the inflow and outflow of capital. Keynes also adopted the essential idea of mercantilism that government intervention in the economy is a necessity. While Keynes' economic theories have had a major impact, few have accepted his effort to rehabilitate the word mercantilism. Today the word remains a pejorative term, often used to attack various forms of protectionism. In an essay appearing in the May 14, 2007, issue of Newsweek economist Robert J. Samuelson argued that China was pursuing an essentially mercantilist trade policy that threatened to undermine the post-World War II international economic structure. The similarities between Keynesianism, and its successors’ ideas about mercantilism, have sometimes led critics to call them neo-mercantilism. Some other systems that do copy several mercantilist policies, such as Japan's economic system, have also been referred to as neo-mercantilist. In specific instances, protectionist mercantilist policies did have an important and positive impact on the state that enacted them. Adam Smith, himself, for instance praised the Navigation Acts as they greatly expanded the British merchant fleet, and played a central role in turning Britain into the naval and economic superpower that it was for several centuries. Some modern-day economists have suggested that protecting infant industries, while causing short term harm, can be beneficial in the long term. Blaug, Mark. 1991. The Early Mercantilists: Thomas Mun (1571–1641), Edward Misselden (1608–1634) And Gerard De Malynes (1586–1623). Cheltenham, England: Edward Elgar Publishing. ISBN 1852784660. Coleman, D. C. (ed.). 1969. Revisions in Mercantilism. Methuen. ISBN 041648090X. Ekelund, Robert B., and Robert D. Tollison. 1982. Mercantilism as a Rent-Seeking Society: Economic Regulation in Historical Perspective. College Station, TX: Texas A&M University Press. ISBN 0890961204. Ekelund, Robert B., and Robert F. Hébert. 1996. A History of Economic Theory and Method. New York, NY: McGraw-Hill. ISBN 0070213275. Galbraith, J. K. 1988. Economics in Perspective: A Critical History. Houghton Mifflin Company. ISBN 0395483468. Heckscher, Eli F.  1994. Mercantilism. London: Routledge. ISBN 0415113571. Horrocks, John Wesley. 1925. A Short History of Mercantilism. New York, NY: Brentano's. OCLC 180776. Keynes, John Maynard. Notes on Mercantilism, the Usury Laws, Stamped Money and the Theories of Under-Consumption. General Theory of Employment, Interest and Money. Retrieved November 7, 2008. LaHaye, Laura. 2008. Mercantilism. Retrieved November 6, 2008. In David R. Henderson (ed.) Concise Encyclopedia of Economics. Indianapolis, IN: Liberty Fund Inc. ISBN 978-0865976658. Landreth, Harry, and David C. Colander. 2002. History of Economic Thought. Boston, MA: Houghton Mifflin. ISBN 0618133941. Magnusson, Lars G. 2003. Mercantilism. In Biddle, Jeff E., Jon B. Davis, and Warren J. Samuels. A Companion to the History of Economic Thought. Malden, MA: Blackwell Publishing. ISBN 0631225730. Miller, J. C. 1996. 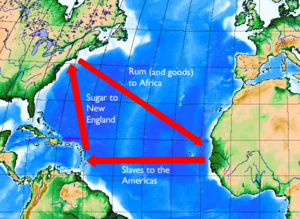 Way of Death: Merchant Capitalism and the Angolan Slave Trade. University of Wisconsin Press. ISBN 029911564X. Mun, Thomas. 1664. Englands Treasure by Forraign Trade, or The Ballance of our Forraign Trade is The Rule of our Treasure. Thomas Clark. Retrieved November 7, 2008. Niehans, Jürg. 1990. A History of Economic Theory: Classic Contributions, 1720–1980. Baltimore, MD: Johns Hopkins University Press. ISBN 0801838347. Rempel, Gerhard. 1998. Mercantilism. Western New England College. Retrieved November 6, 2008. Rothbard, Murray N. 1995. Economic Thought Before Adam Smith, Vol. 1: An Austrian Perspective on the History of Economic Thought. Edward Elgar Publishing. ISBN 1852789611. Rothbard, Murray N. 1995. Classical Economics: An Austrian Perspective on the History of Economic Thought. Edward Elgar Publishing. ISBN 185278962X. Rothbard, Murray N. 1997. The Logic of Action II: Applications and Criticism from the Austrian School. Cheltenham, England: Edward Elgar Publishing. ISBN 1858985706. Salvatore, Dominick (ed.). 1987. The New Protectionist Threat to World Welfare. Elsevier Science Ltd. ISBN 044401084X. Samuelson, Robert J. 2007. China's Wrong Turn on Trade. Newsweek. Retrieved November 6, 2008. Smith, Adam. [1776, 1904] 2000. Of the Principle of the Commercial or Mercantile System. An Inquiry into the Nature and Causes of the Wealth of Nations. Library of Economics and Liberty. Retrieved November 7, 2008. Smith, Adam. 2003. The Wealth of Nations. Bantam Classics. ISBN 978-0553585971. Vaggi, Gianni, and Peter Groenewegen. 2003. A Concise History of Economic Thought: From Mercantilism to Monetarism. New York, NY: Palgrave Macmillan. ISBN 0333999363. Wilson, Charles. 1966. Mercantilism. London: Historical Association. OCLC 123417981. This page was last modified on 1 March 2016, at 15:40.